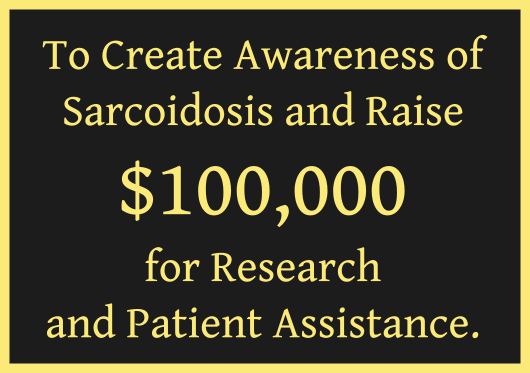 To Create Awareness of Sarcoidosis and Raise $100,000 for Research and Patient Assistance. How close are we to the cure? Go to stopsarcoidosis.com/stories to hear the stories of Sarcoidosis patients.